Utair Airlines has asked its creditors to write off its 12-year syndicated credit line and half of another seven-year loan arrangement, according to a report in Vedomosti business daily. One of Russia’s largest airlines, Utair has outstanding debts on two lines of credit, which amount to 23.7 and 15.4 billion roubles respectively. Overall, the airline is requesting a write down of a total of 31.4 billion roubles, which translates to 40 per cent of the pending debts, or 80 per cent of its syndicated credits. The airline last reported on its financial position in the first half of 2018, when its turnover stood at 36 billion roubles as it posted a net loss of 5.2 billion roubles. 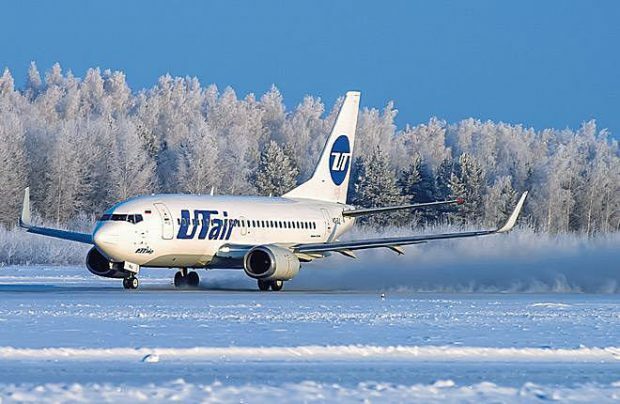 Utair is defending its request to write down its losses because, under its new financial strategy, it is unable to service the debts – and a refusal to accommodate the request would inevitably leave the airline on the brink of bankruptcy. If that were to happen, the creditors would not be able to recover much more than a few per cent of each rouble of investment. In total, the operator has 74.7 billion roubles (US$1.15 billion) of outstanding obligations, with 17.4 billion owed to Sberbank, 13.3 billion in bonds and 4.9 billion to former owner Surgutneftegaz. Utair first voiced its need to write off 75 per cent of its outstanding debts in October last year but, in December, the airline failed to pay about one billion roubles of interest for the seven-year credit arrangement, explaining that otherwise it would have insufficient funds to support its operations. In February of this year, the creditors’ syndicate opted not to apply the non-acceptance write-off from the airline’s account and not to impose any punishment for the unpaid debts, but that discussion may be brought back to the table at any time.